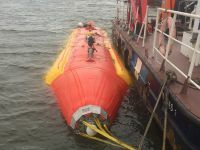 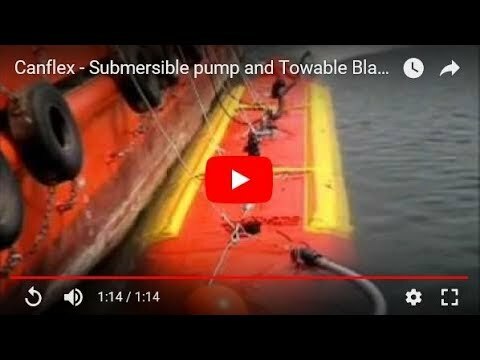 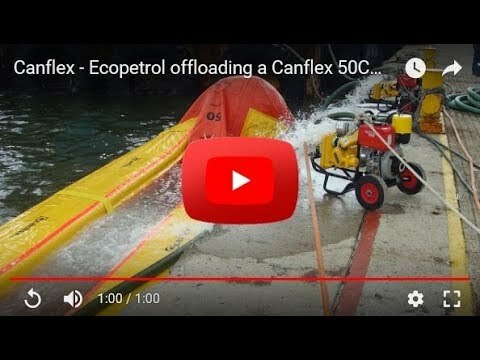 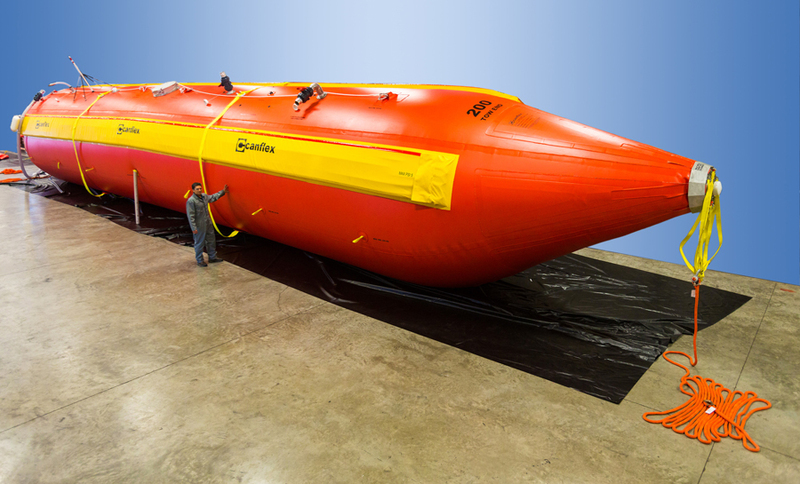 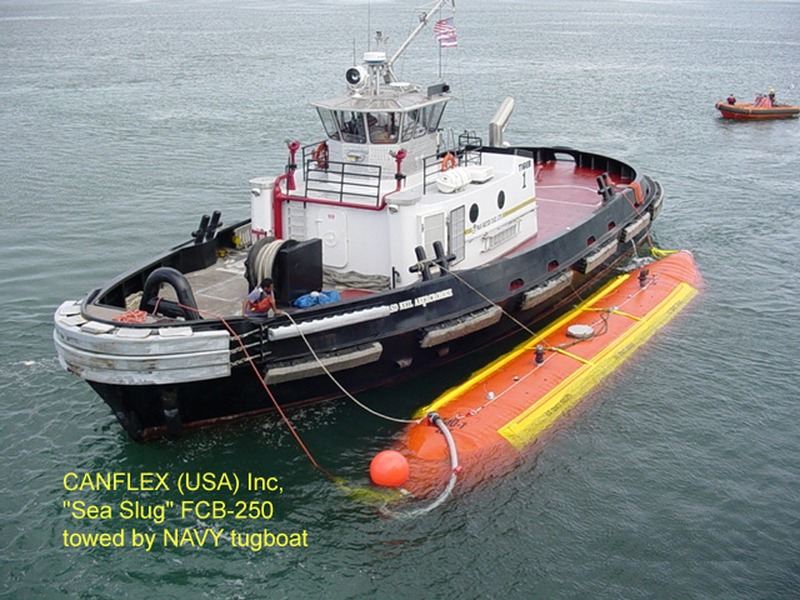 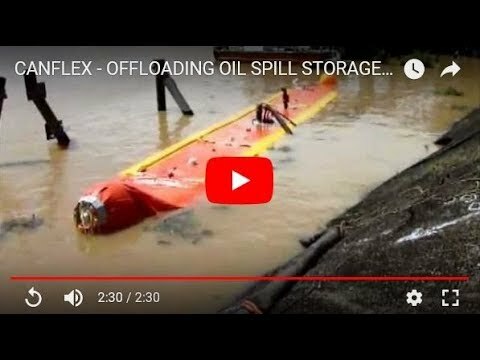 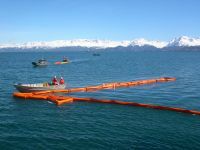 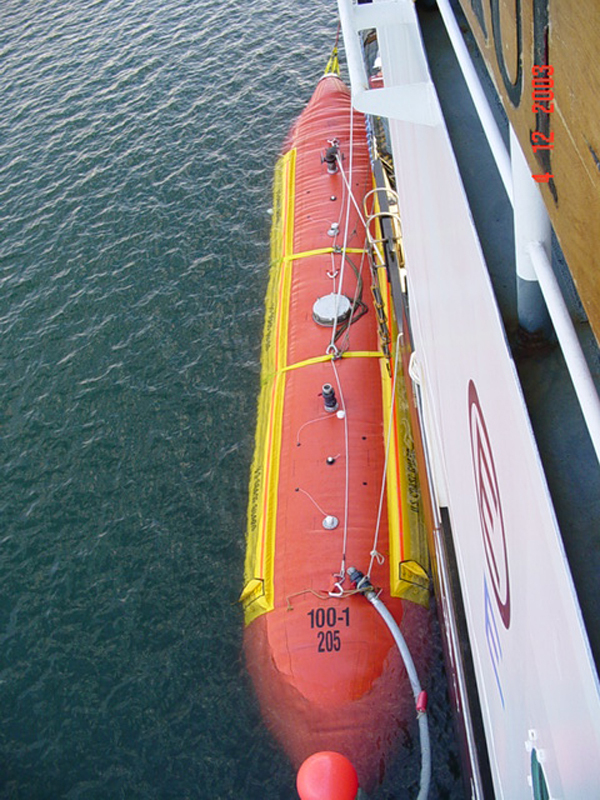 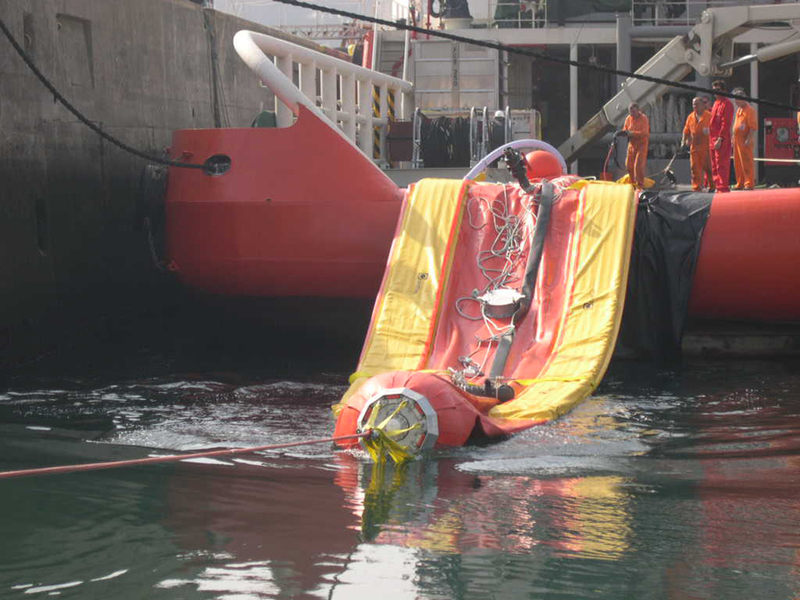 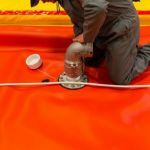 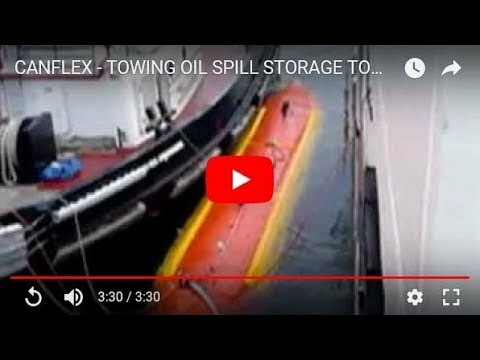 Canflex “Sea Slug” Ocean towable floating Bladders are secondary liquid storage tanks used for transport and bulk storage of Drinking / Potable Water, Sewage Water and spills. 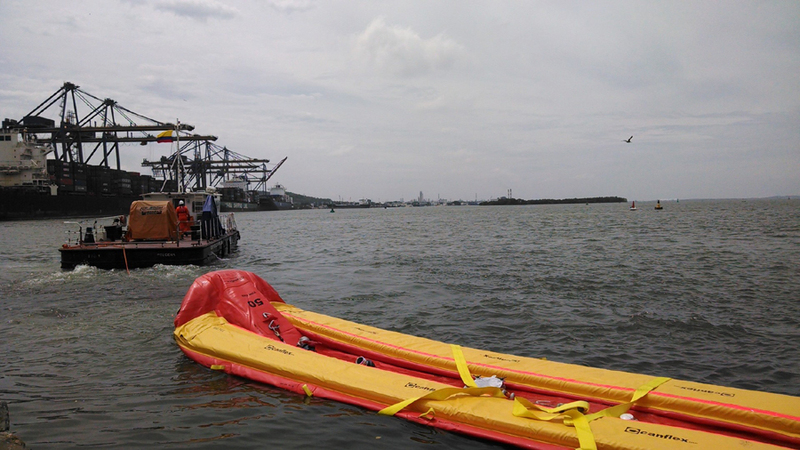 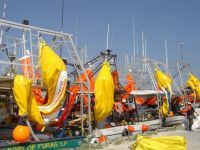 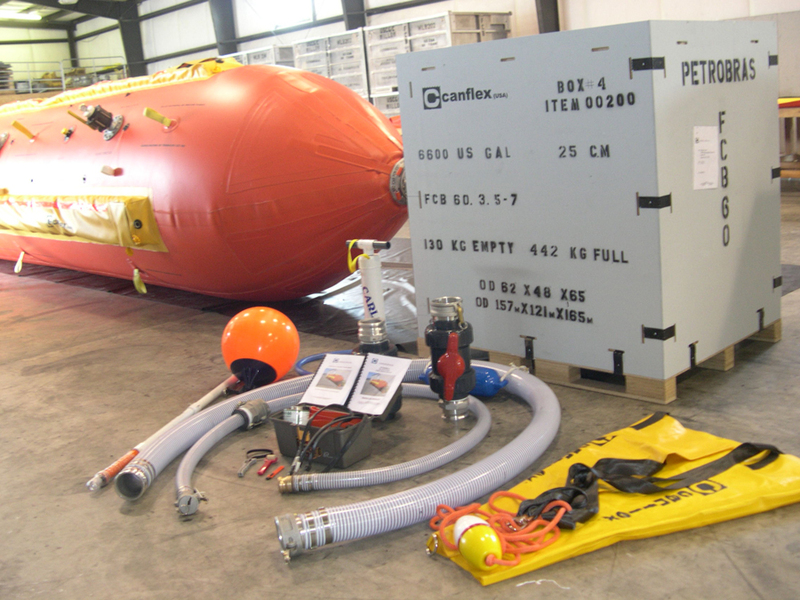 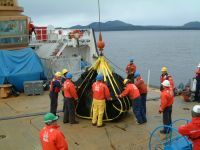 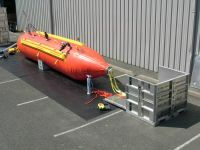 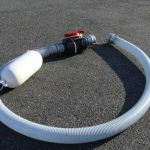 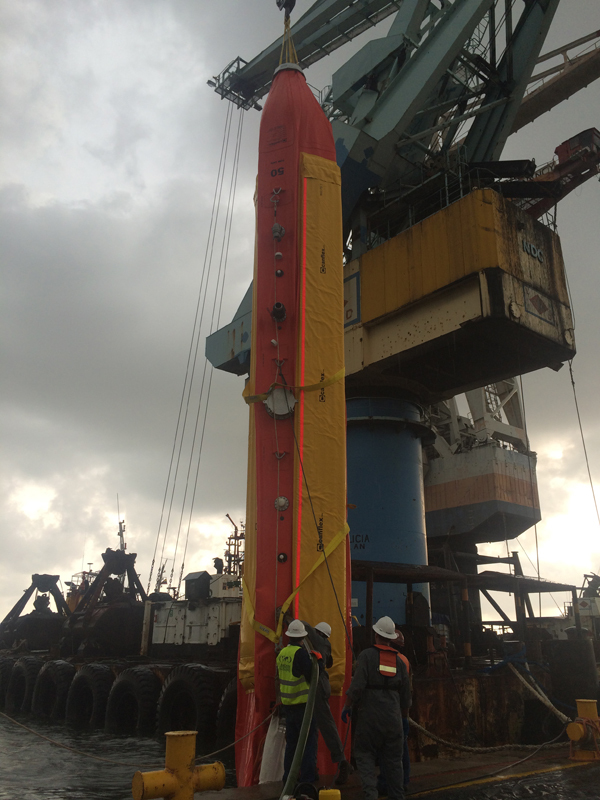 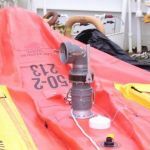 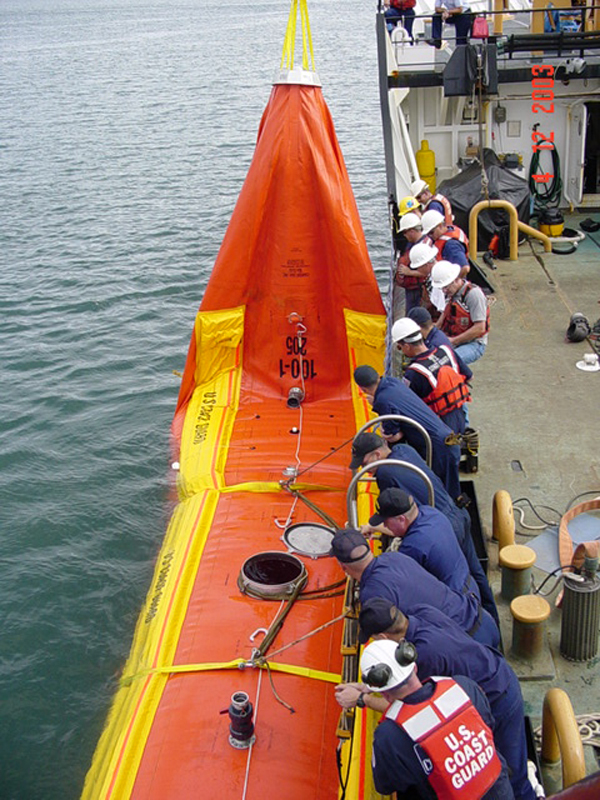 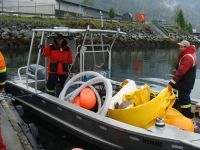 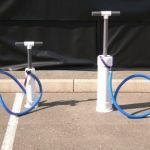 These bladders also can be used in Disaster relief efforts for the transport and storage of essential fluids to populations effected by tsunamis, earthquakes, etc. 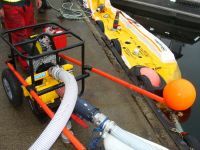 These bladders are very robust and durable with a torpedo shaped body giving them great towing characteristics. 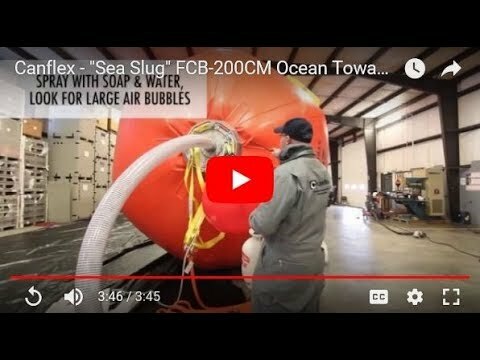 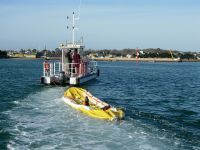 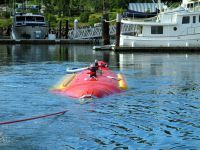 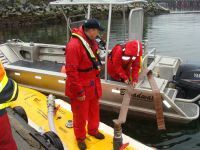 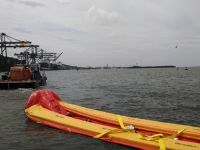 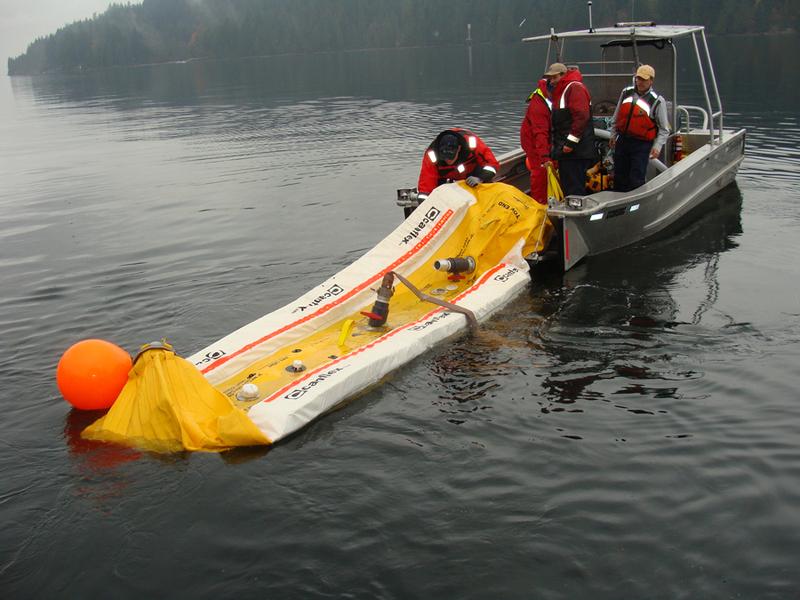 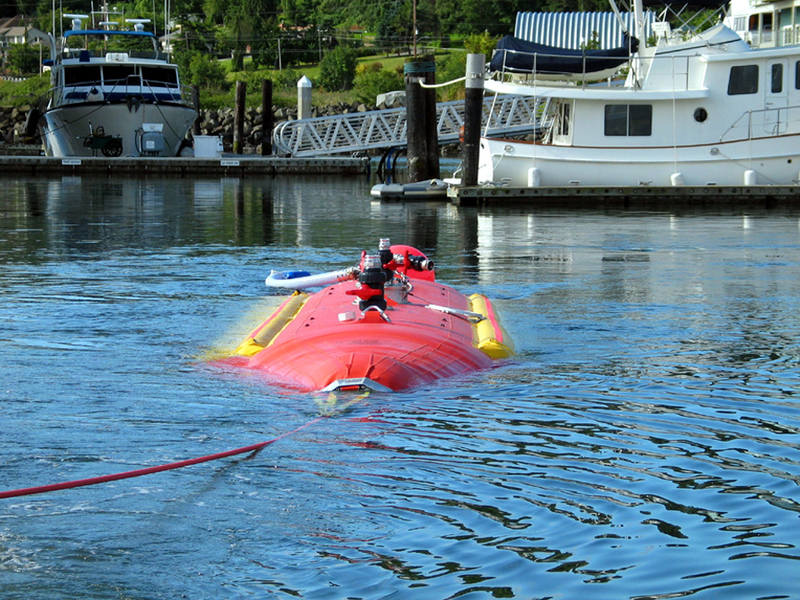 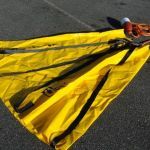 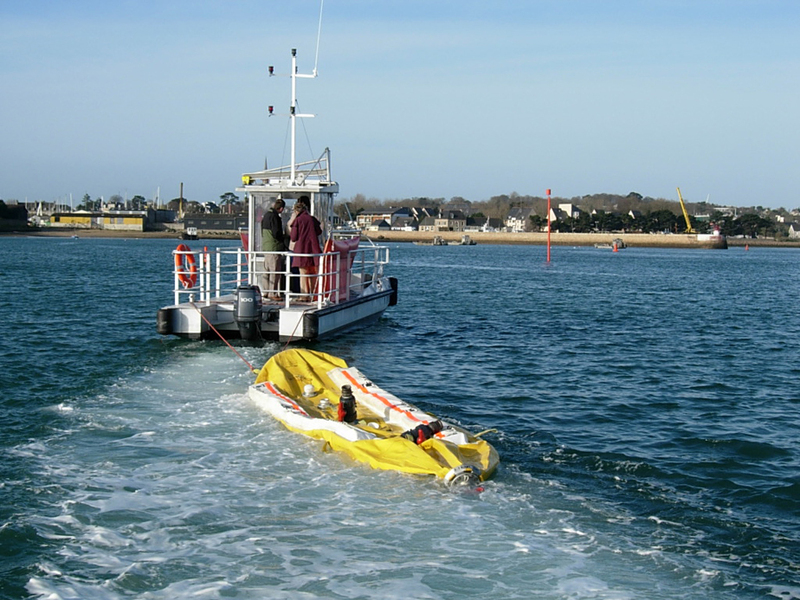 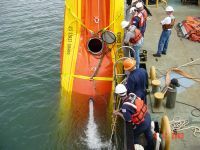 Do to the rugged design and materials used in the construction of the bladders, the “Sea Slugs” can be used safely for training and practical applications over an unlimited time period. 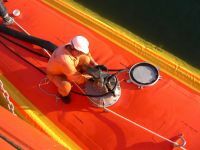 A wide range of special material coatings are available for these bladders, which can be used in many environments, such as the storage and transport of Drinking water, Fuels / Hydrocarbons or Waste products. 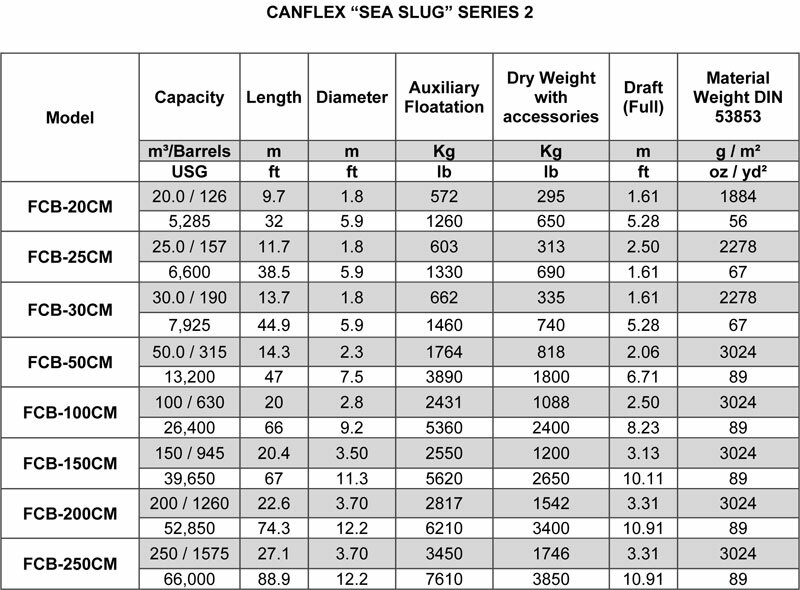 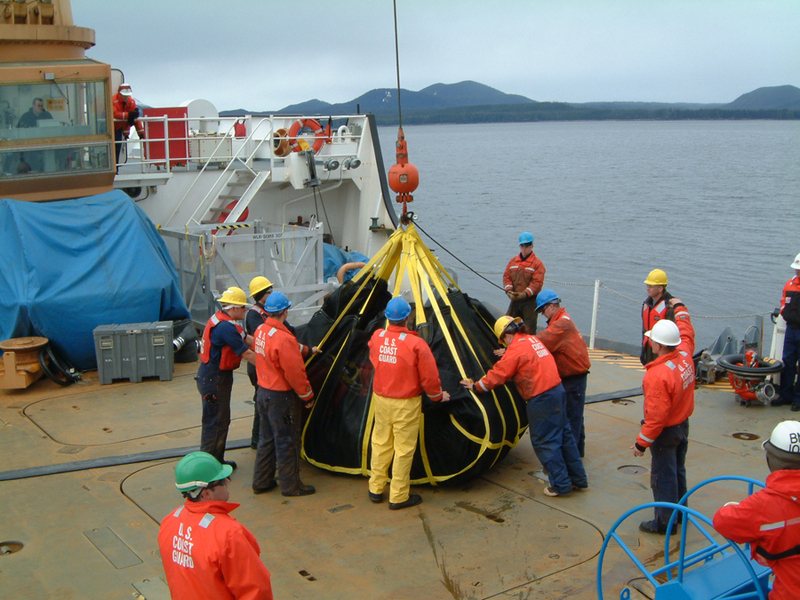 Canflex “Sea Slug” bladders are entirely constructed using radio frequency welding. 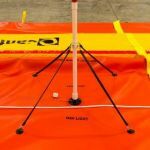 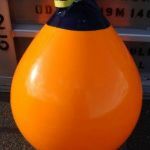 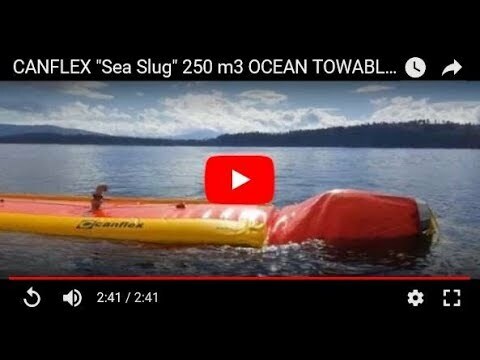 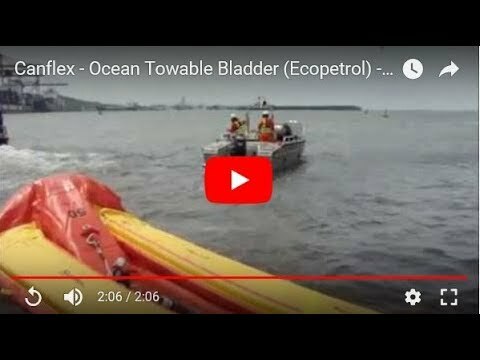 This, combined with superior coated fabrics, hardware and engineering, has made the Canflex “Sea Slug” the best ocean towable bladder available on the global market. 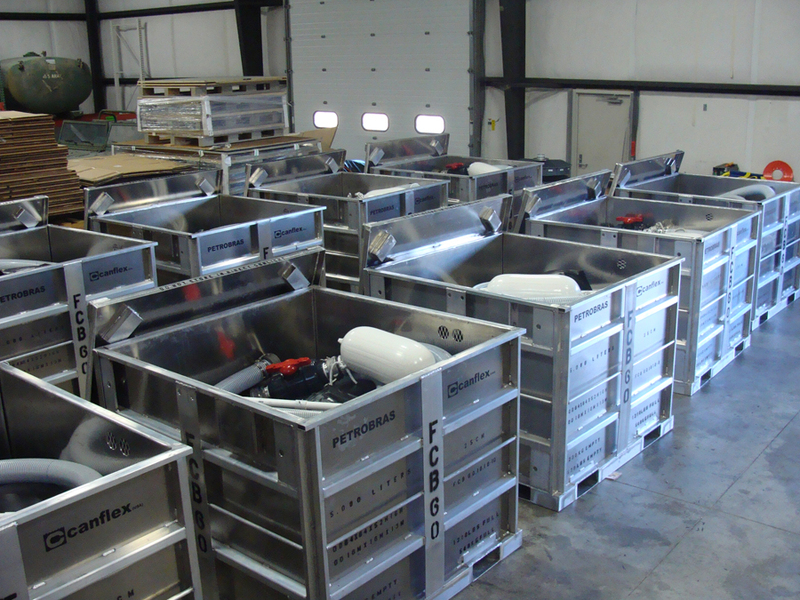 Small and large bulk storage capacities. 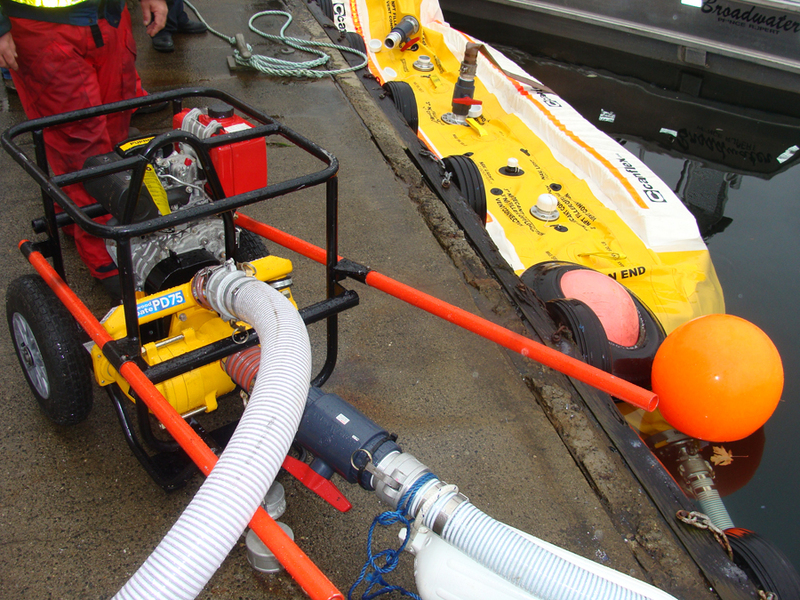 Reliable and fast response units. 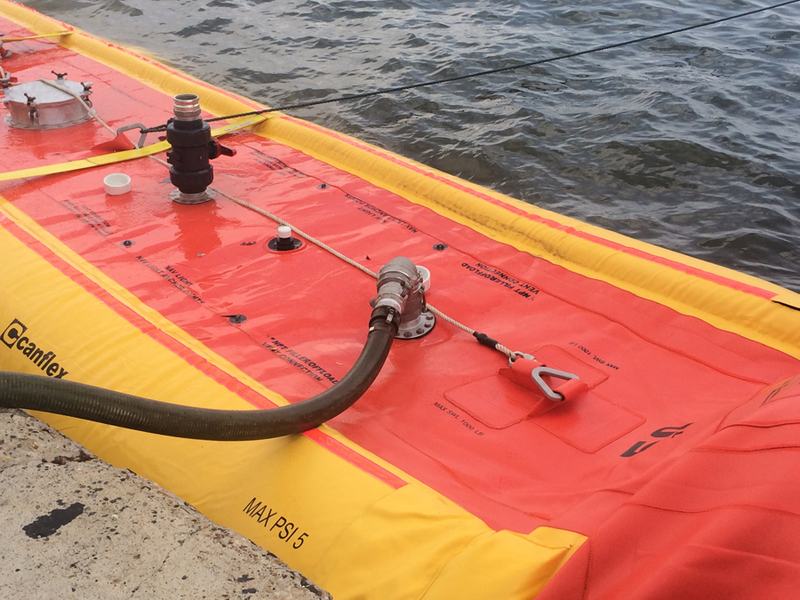 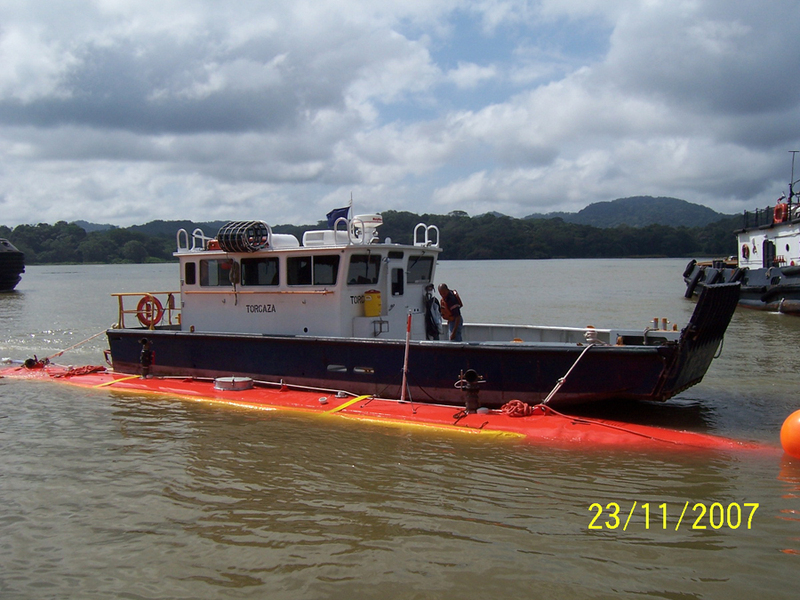 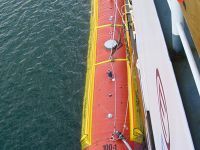 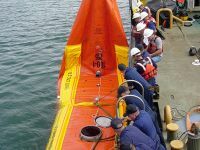 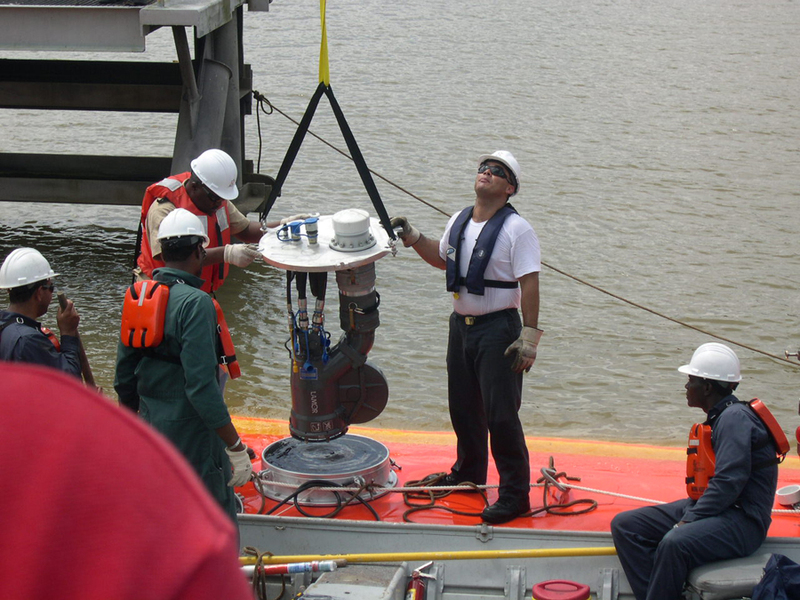 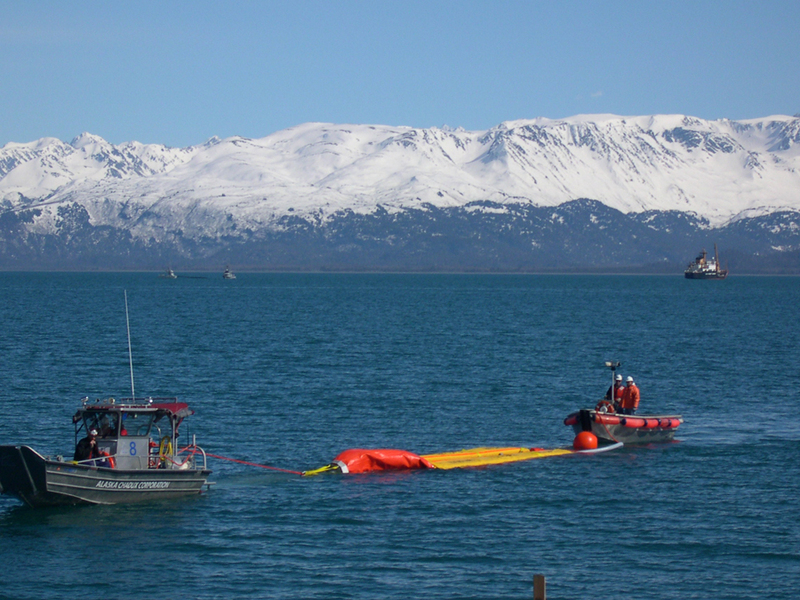 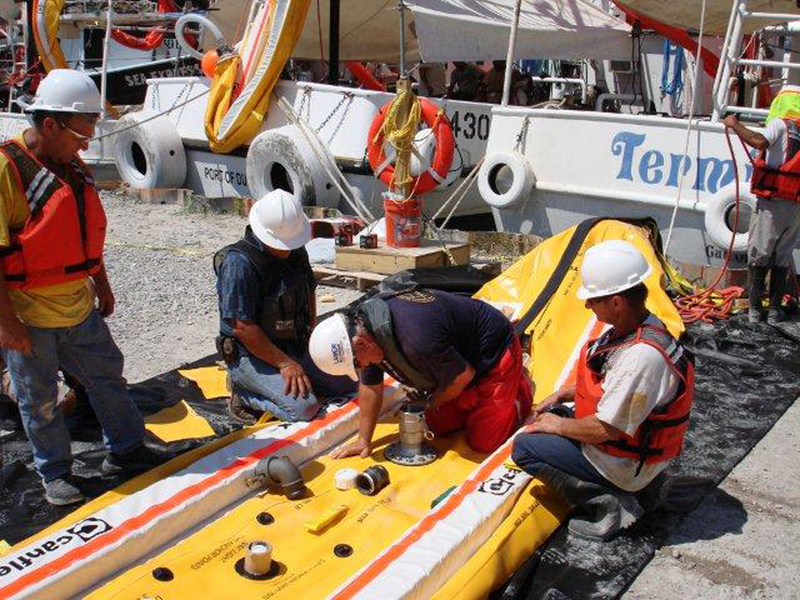 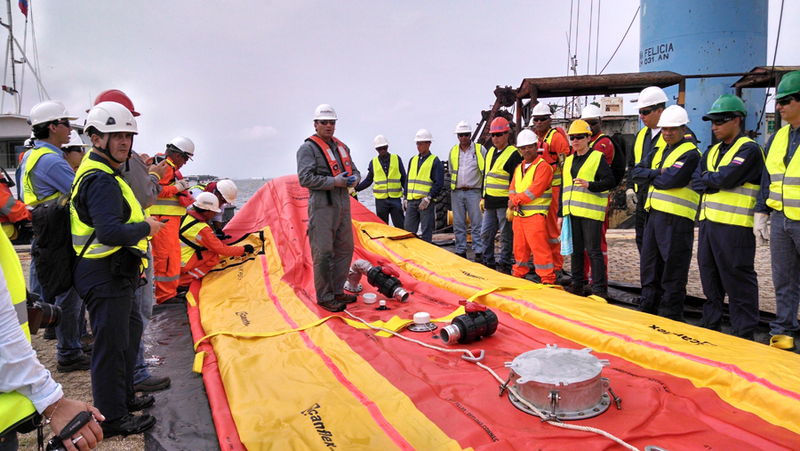 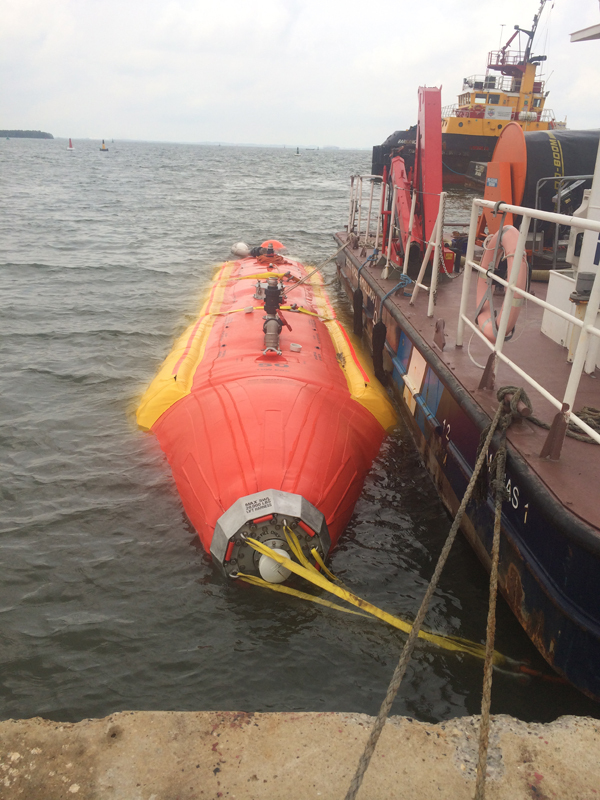 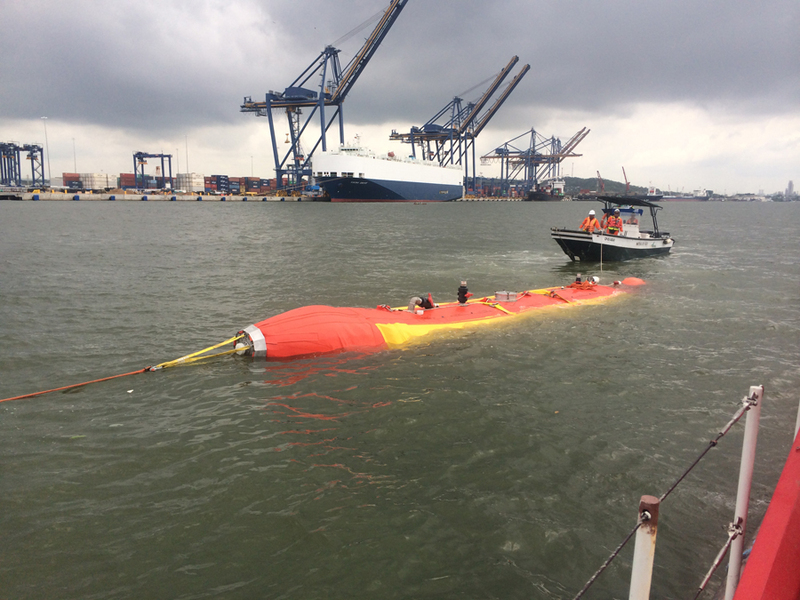 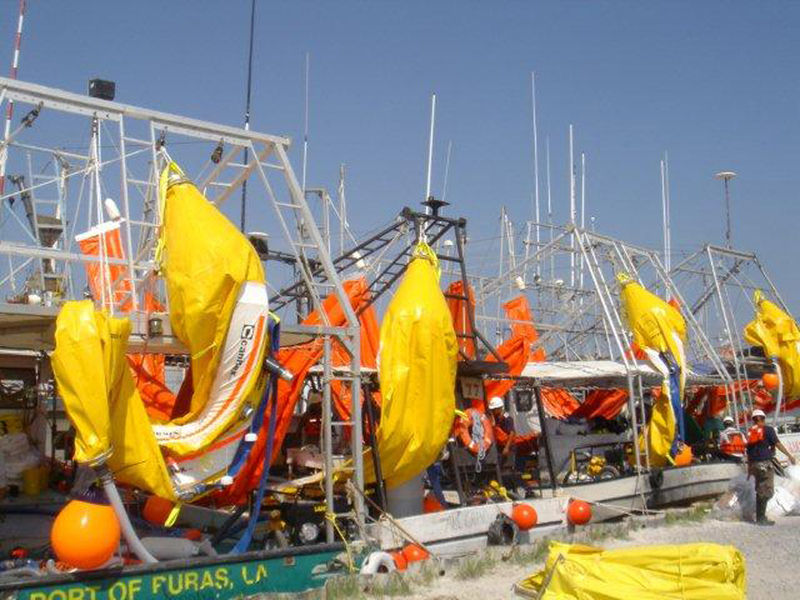 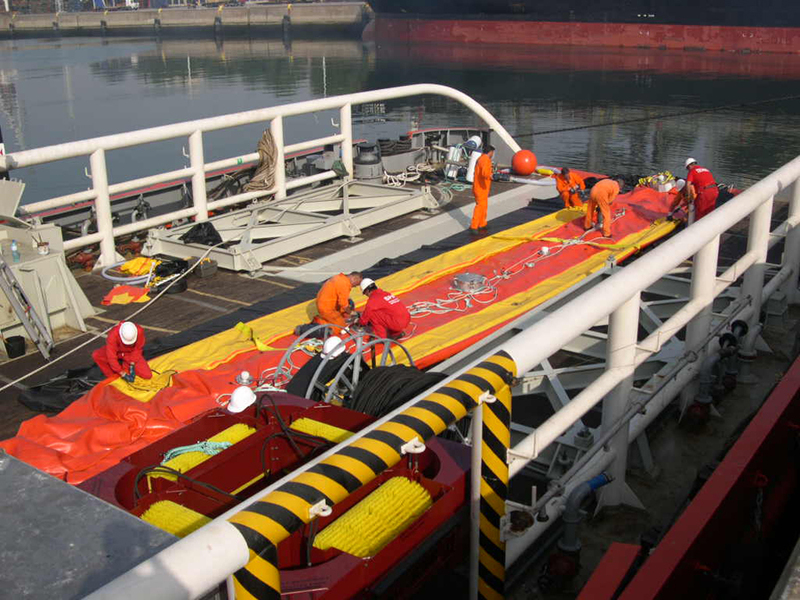 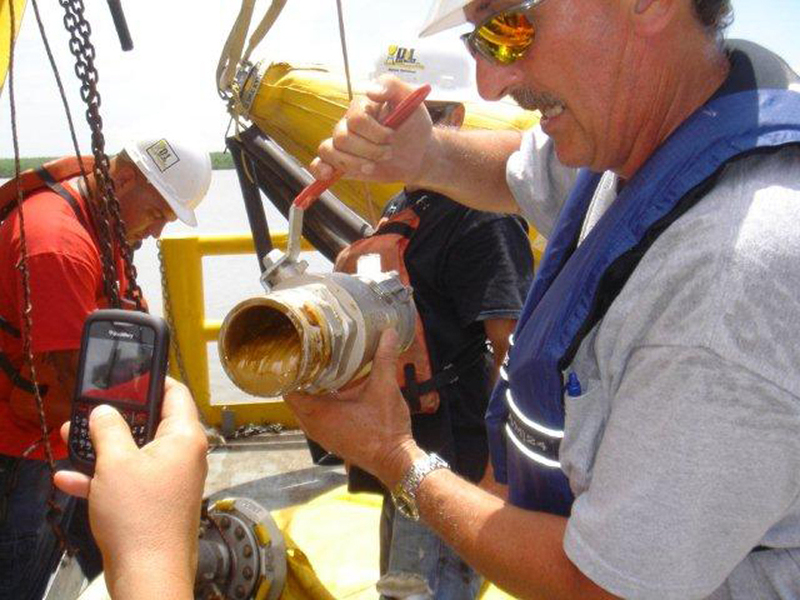 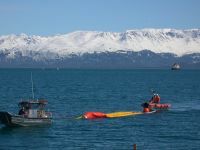 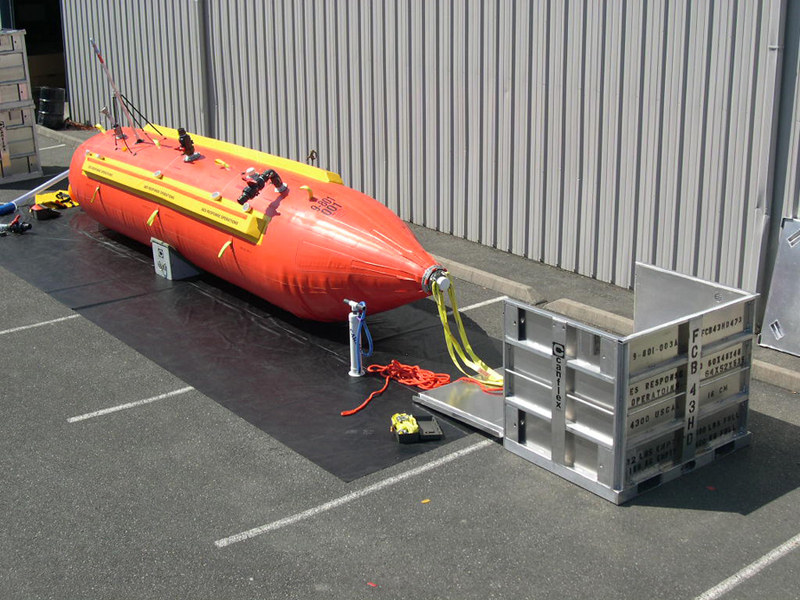 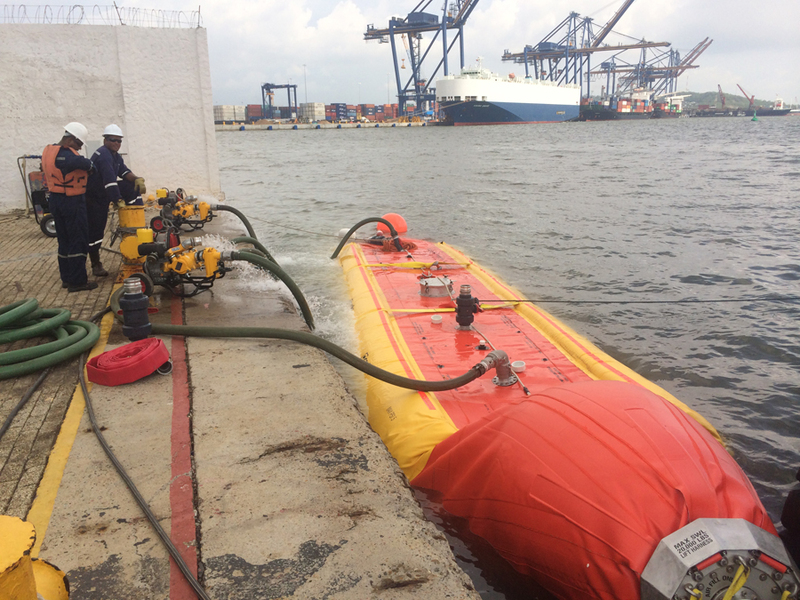 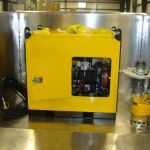 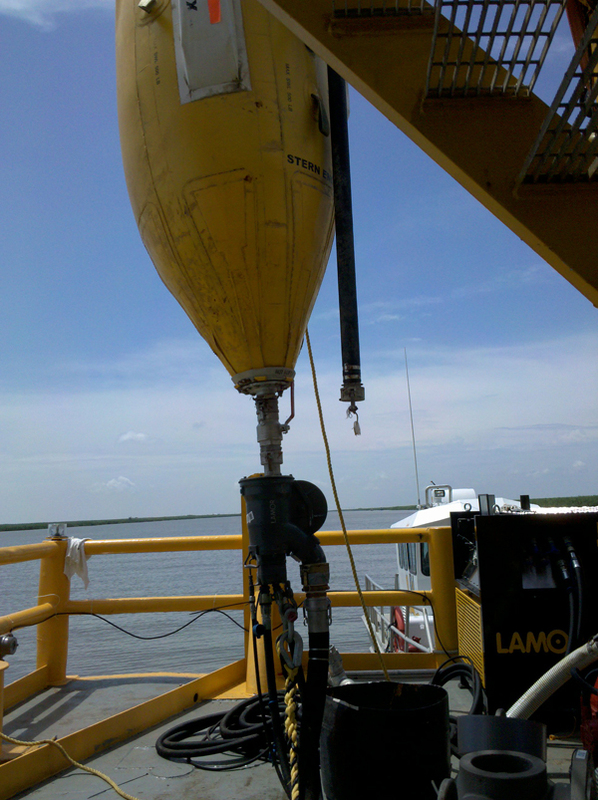 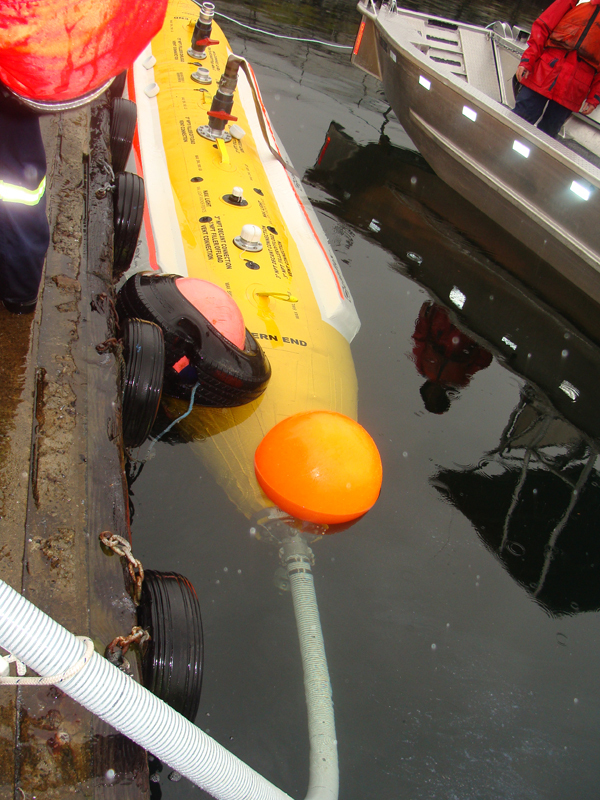 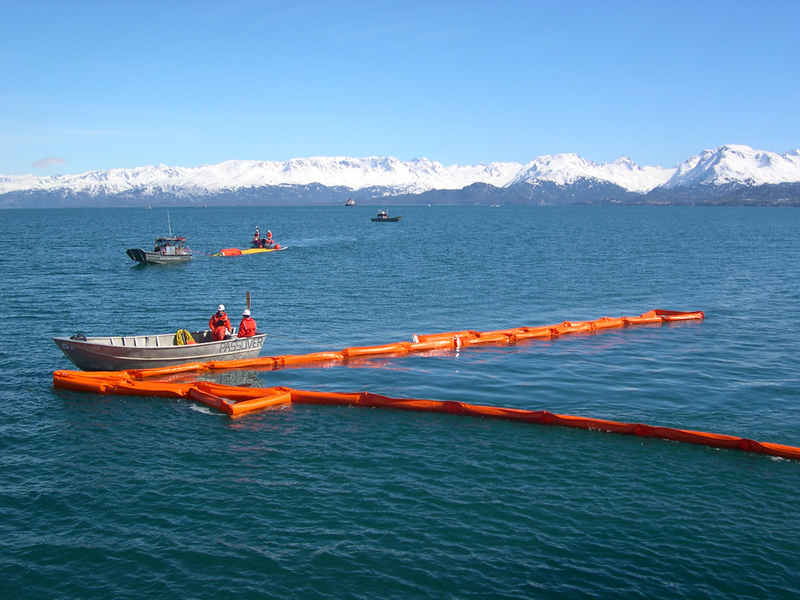 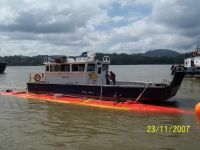 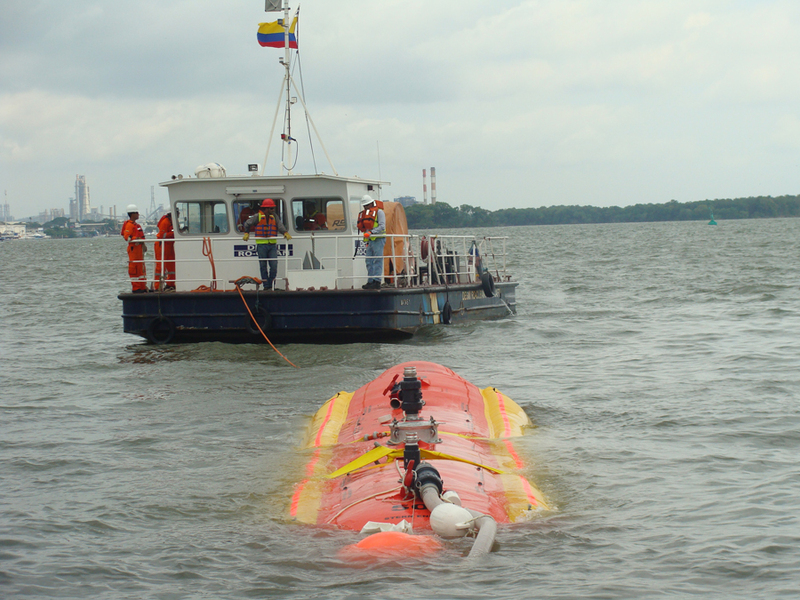 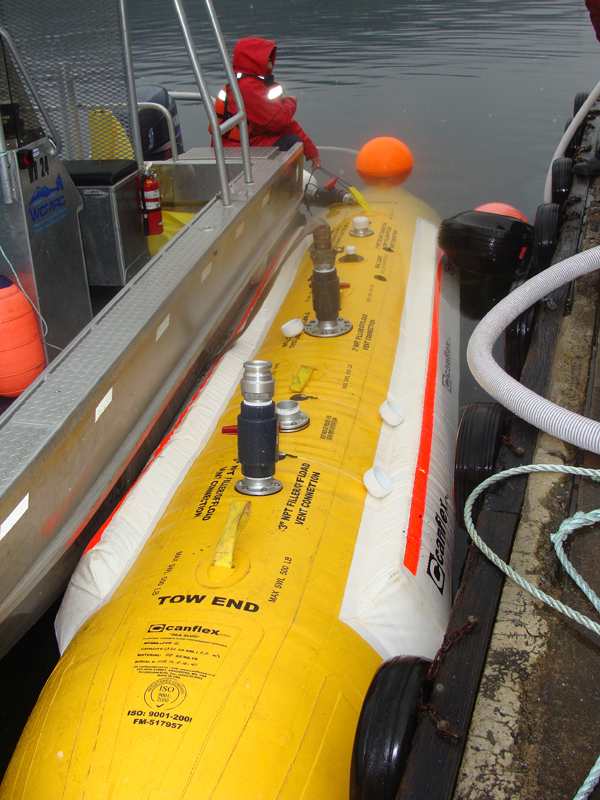 Increases the volume/ storage capacity of your oil spill response vessels. 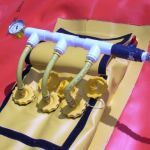 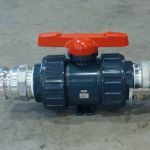 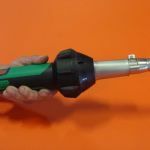 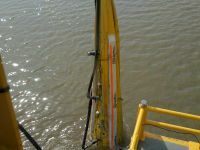 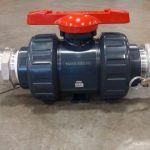 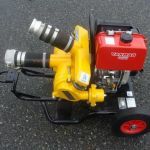 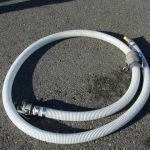 Multiple 2″ thru 6″ connections for filling, venting and offloading. 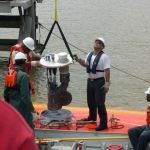 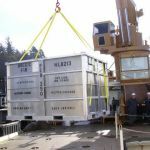 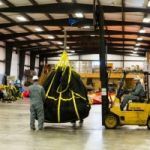 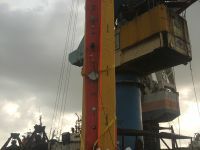 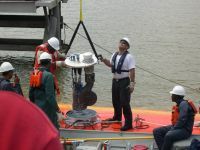 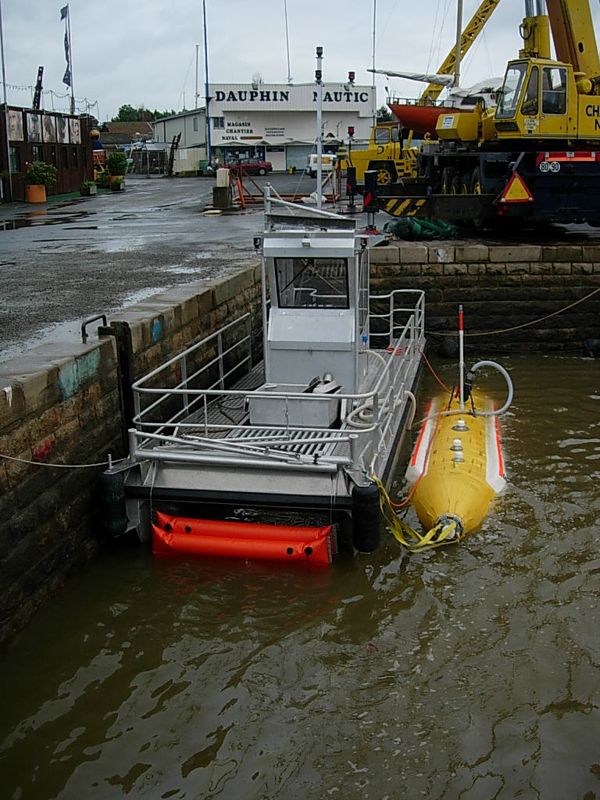 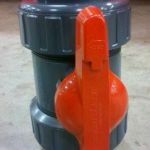 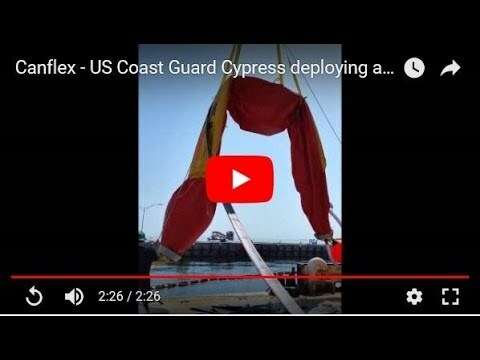 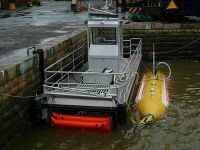 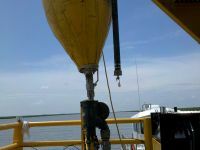 Fast and efficient offloading system, which consists of a 12″, 16″ or 25” diameter hatch assembly for the insertion of large capacity offloading submersible pumps. 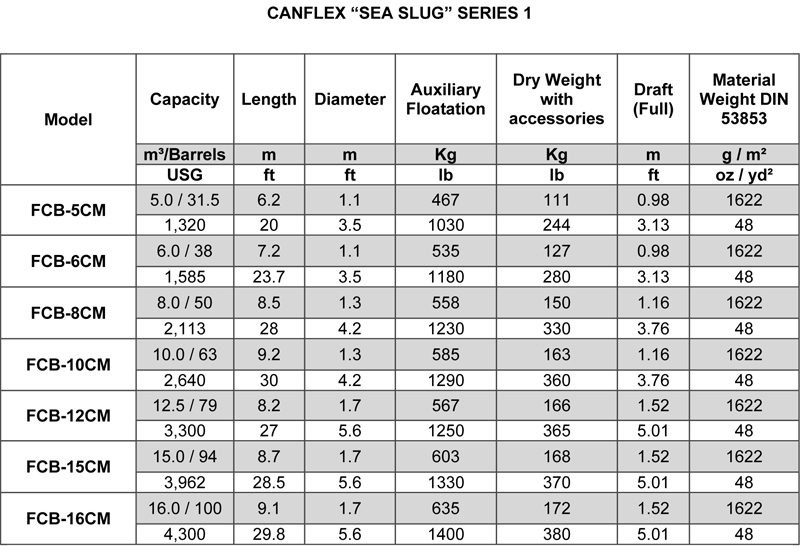 See Accessories below for more details. 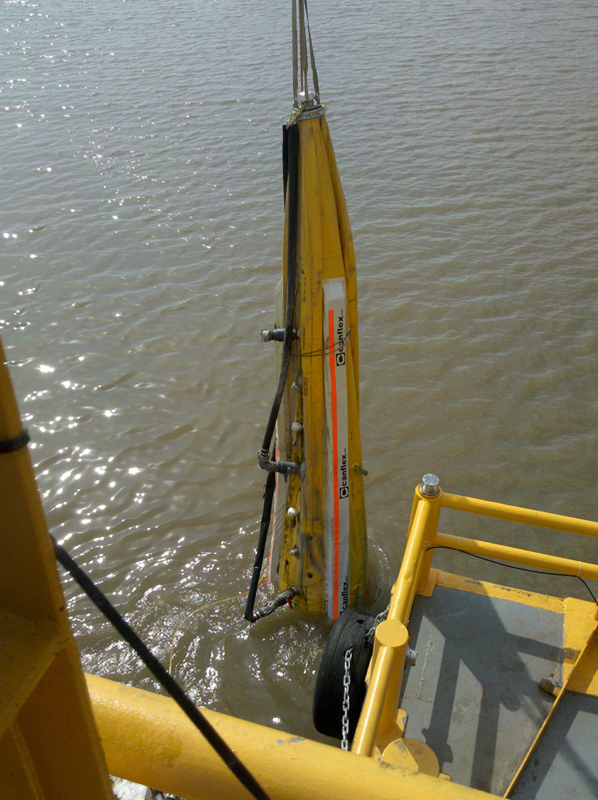 Robust towing points also enables the bladder to be lifted vertically to aid in the final offloading process. 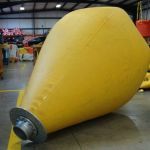 Coated fabric materials are many times stronger than materials used by other towable bladder manufacturers. 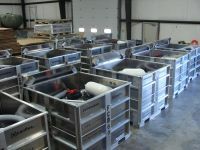 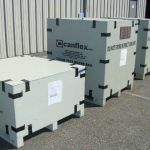 Available with Marine grade aluminum crate for long term storage and shipping. 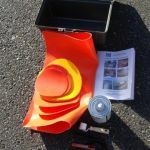 See Accessories below for more details. 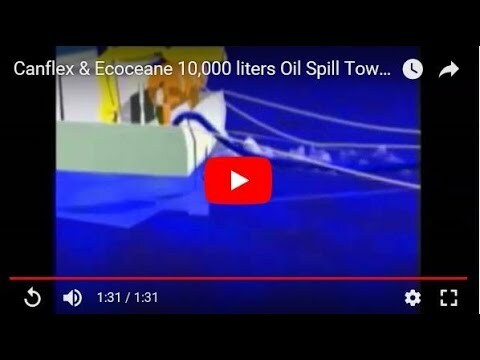 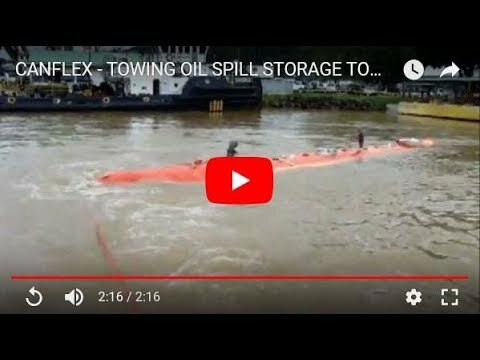 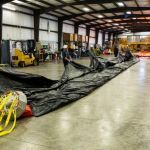 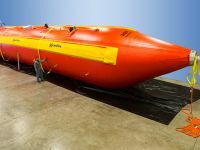 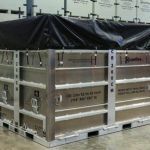 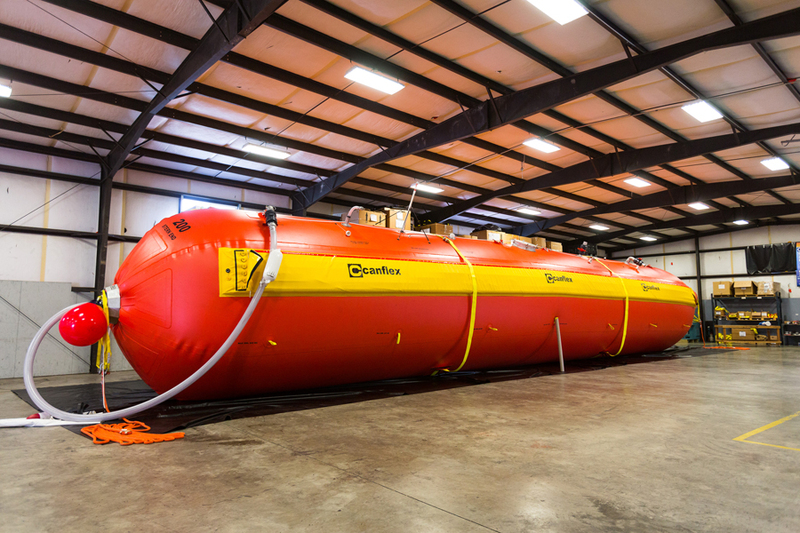 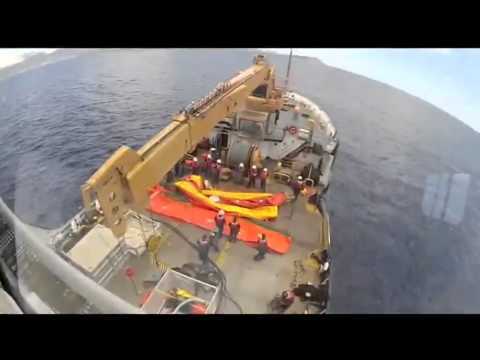 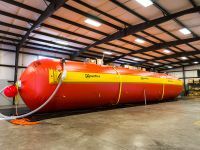 Disaster relief – Transport and storage of essential fluids to populations effected by tsunamis, earthquakes, etc..
Sizes range from 5 to 250 m³ (1320 to 66,000 gallons). 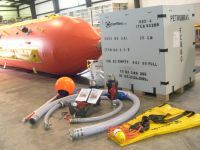 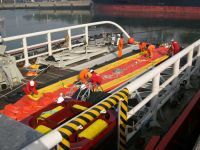 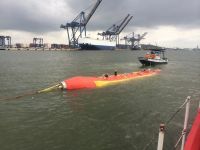 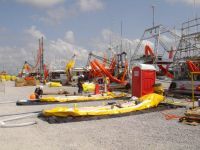 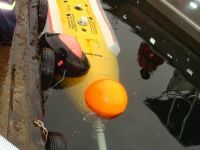 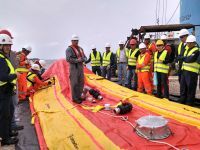 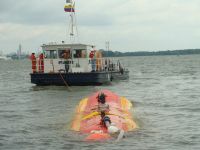 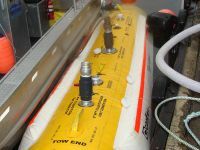 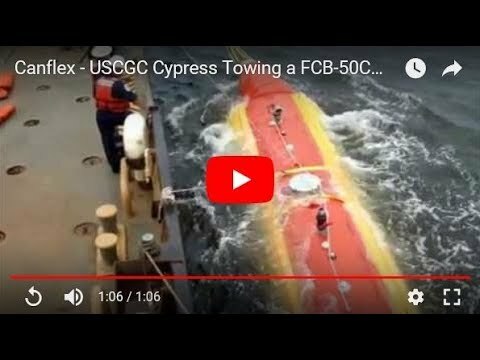 Ocean Towable Bladder- 5m3-16m3- Accessories Installation - " Deepwater Horizon Oil Spill"
Lifting "Sea Slug" to aid in final offloading process - "Deepwater Horizon Oil Spill"
Offloading oil through "Sea Slug" stern hose - "Deepwater Horizon Oil Spill"
Sea Slug Series2- 20m3 to 250m3 - Towed from vessel's side "Hip Towing"